How long does my item take to complete and ship? 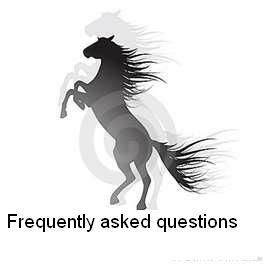 Horse wear is typically completed and shipped within 2 weeks. We don't rush and cut corners, instead we take our time to provide you with the best product available. Custom Western shirts/jackets may take longer. Products that we have already have in stock ship same day(excluding weekends) if payment is received by 10am. All others will be shipped within 24 hours of receiving payment. We accept PayPal, cashiers checks, money orders, credit cards and personal checks. Checks must clear the bank prior to starting your item(s). We ship at actual cost. We usually use USPS flat rate boxes, and will combine shipping on multiple items. Most items ship for under $11 in a flat rate box or envelope. Yes, we will ship to Canada, or elsewhere at an additional cost!